Universities face unique facilities management challenges due to the size, number and diversity of building use and occupancy in a typical portfolio. Providing a safe environment for staff and students to flourish is of paramount importance, but can be difficult to achieve in the face of financial challenges. ZetaSafe has tailored solutions for universities to ensure total compliance with statutory requirements, identifying opportunities for cost savings by reducing wasted efforts and resources where risks are low and focusing where risks are elevated. Accurately and efficiently collect, manage and share business critical compliance data – through the use of cloud and mobile technologies. ZetaSafe puts you in complete control of your statutory and preventative maintenance management. ZetaSafe also arms many major service providers with the platform they need to meet the safety, compliance and asset productivity needs of their clients, as well as their own performance and compliance management. Why choose ZetaSafe for universities? Financial and environmental benefits from maintaining your assets in an optimum condition. Configure ZetaSafe to collect, manage and share all types of business critical data. 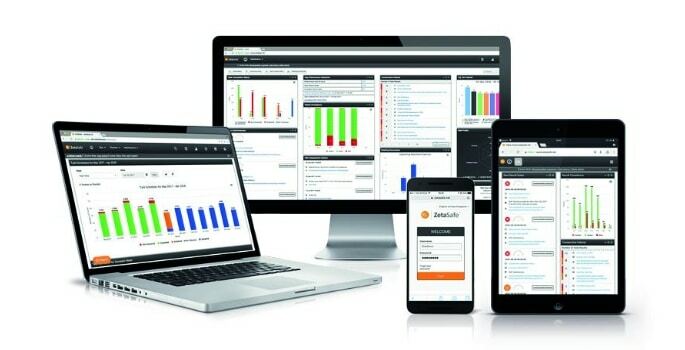 Use ZetaSafe compliance software independently or alongside many CAFM, Property, FM & PPM systems. ZetaSafe is delighted to be one of the main sponsors of the AUE (Association of University Engineers) 2018 annual conference.